What dogs dream of for any trip — the best travel bed designed for restful nights on the go. When traveling away from home, that means catching naps in the hotel, the restaurant, office, or wherever else they’re being swept off to. Thankfully, a good restful sleep is always at hand with the best travel bed possible by Cloud7. Practical and stylish, you can choose from travel cots, dog blankets, and dog bags. No matter the surroundings, the best travel bed available always makes for a comfortable, private place for your dog to get some much-deserved rest. No matter where the journey leads, the Cloud7 TRAVEL BED lets your dog feel at home anywhere and everywhere. Practical as it is chic, the Travel Bed is foldable and can be secured with Velcro, allowing it to be carried like an elegant bag. And thanks to the side pocket for accessories, essentials like leashes, treats and bowls are always assured to be on the ready. The Cloud7 Travel Bed is a true original, being awarded many international design awards — but the best certification in our books is the sweet sound of a snoozing pup. The smaller dogs among us are always prepared to take a few more steps to get where they need to. Sometimes quite a few more if they’re particularly petite. Since those little legs are bound to get tired, the elegant Cloud7 CITY CARRIER is the perfect little tote for small dogs up to approx. 8 kilos to cozy up and take a breather. Puppies, Chihuahuas, Pugs, Dachshunds and more can arrive comfortably at their destination, enjoying the best travel bed around, a cuddly resting place to indulge in the whole way there. The easy to care DOG MATS are light and roll up quickly to be easily transported. They’re also stress-free to clean and fully machine washable. 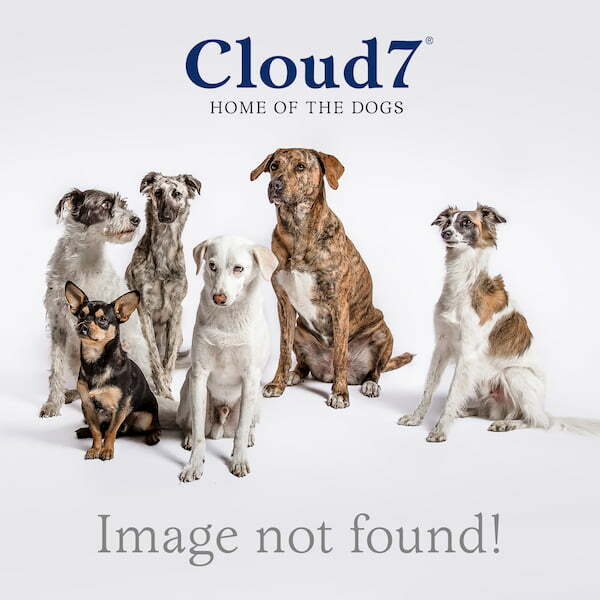 For outdoor use in the garden, on the terrace, or for nature trips, Cloud7 dog mats are also available in robust waterproof outer fabric. That way any pup will remain protected from wet or cold soil. Cloud7 FLEECE BLANKETS make cuddle time especially cozy. The super-soft fleece dog blankets with beautiful embroidery on the edges are perfect as a snug underlay for sofas, armchairs, or the dog bed. Furniture is protected from dog hair and dirt and a dog leans, which is his spot where they can comfortably stretch out, cuddle up tight, or cover up on colder days. The snuggly fleece dog blankets also provide extra comfort during car rides and transport, making any car seat or crate a little homier.